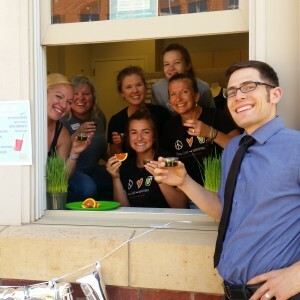 Chris LoRang and the Pop-Up Smoothie Shop Team. 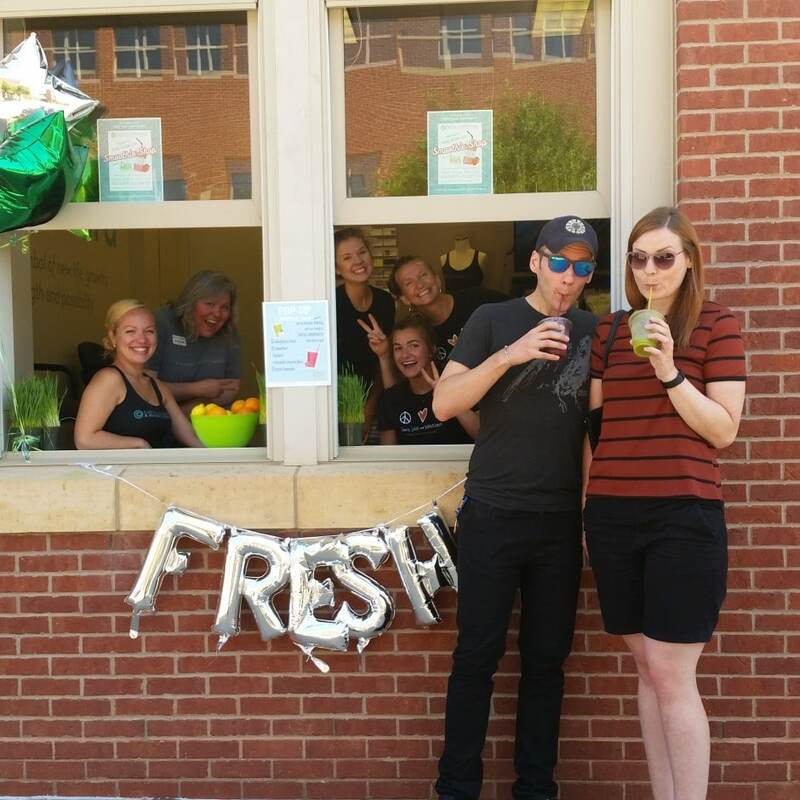 Last week’s Pop-Up Smoothie Shop to celebrate the 3rd anniversary of Capital Chiropractic & Rehabilitation Center was a multi-faceted delight: The weather, the menu and all the lovely people who stopped by all made it an event to remember. 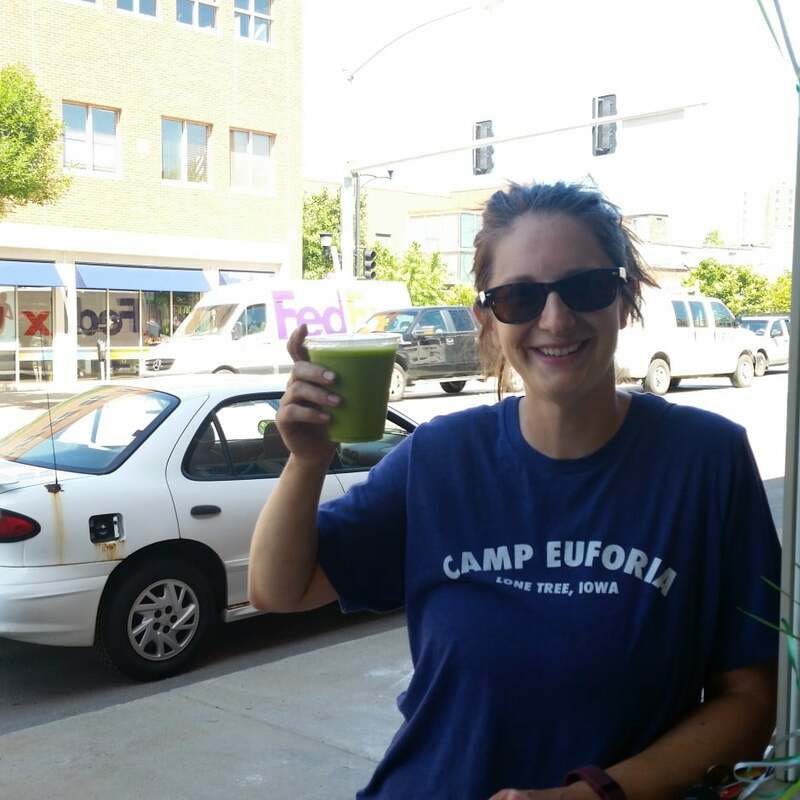 Starting at 11 a.m., we opened up our clinic window facing E. 6th Street to find a line of eager first customers for our pop-up smoothie shop. 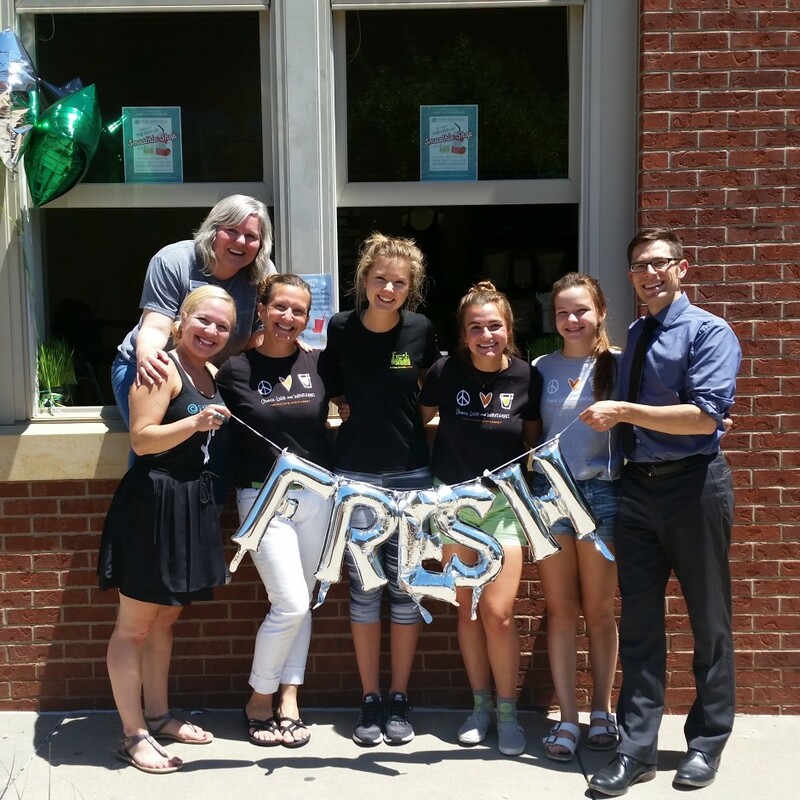 Over the next two hours, over 100 people stepped up to that window to get their goodies from Fresh Cafe & Market. 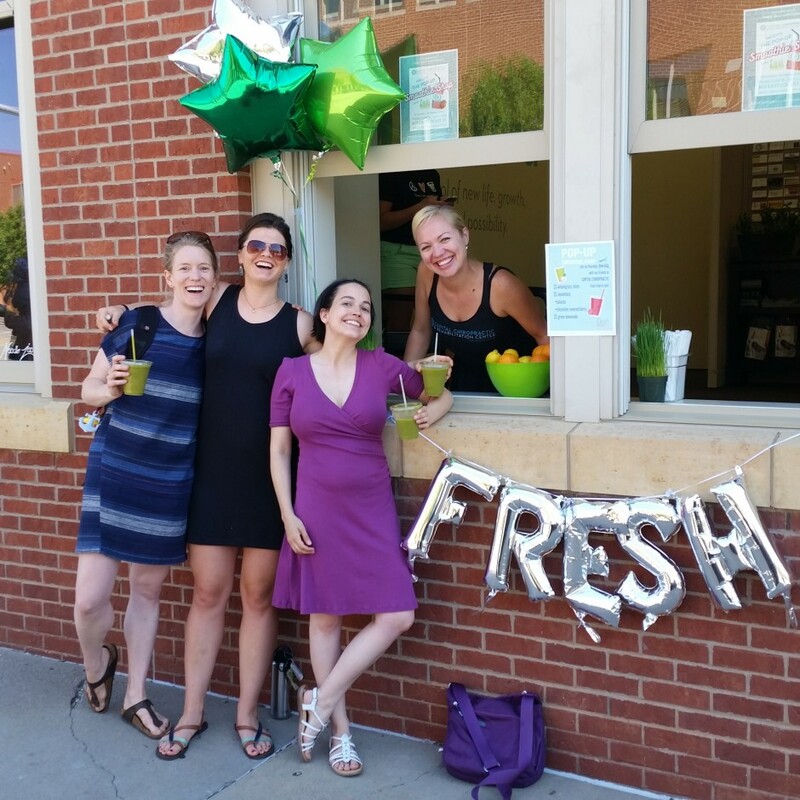 The menu included fresh-pressed wheatgrass shots, green lemonade, a Balance smoothie – with kale, spinach, apple and mango, and the Capital Chiropractic smoothie, made especially for the event by Kerri Rush and her team at Fresh. 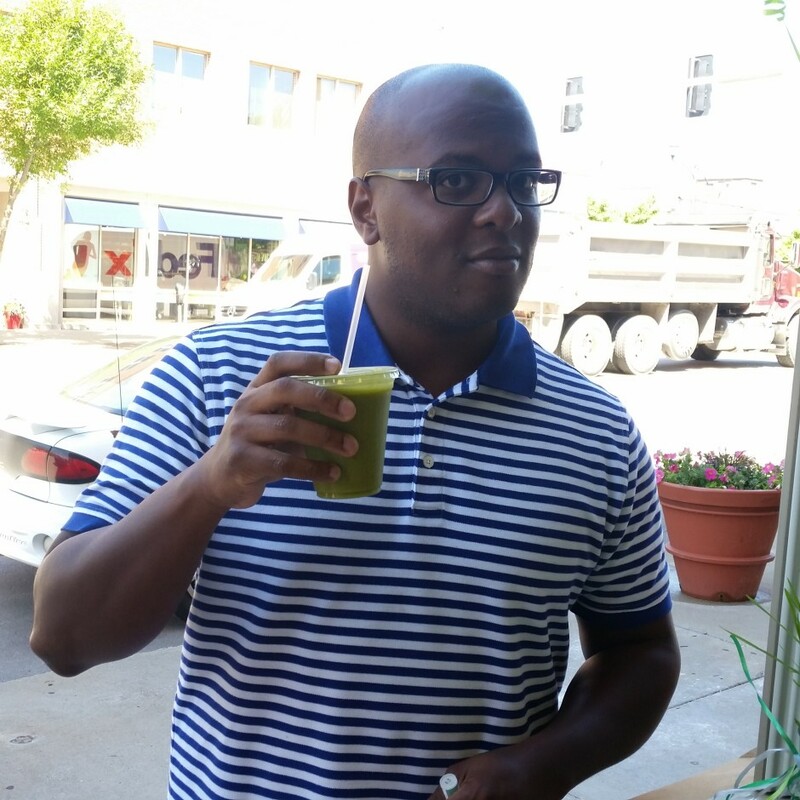 It included raw cacao and local aronia berries, for a deluxe antioxidant treat. 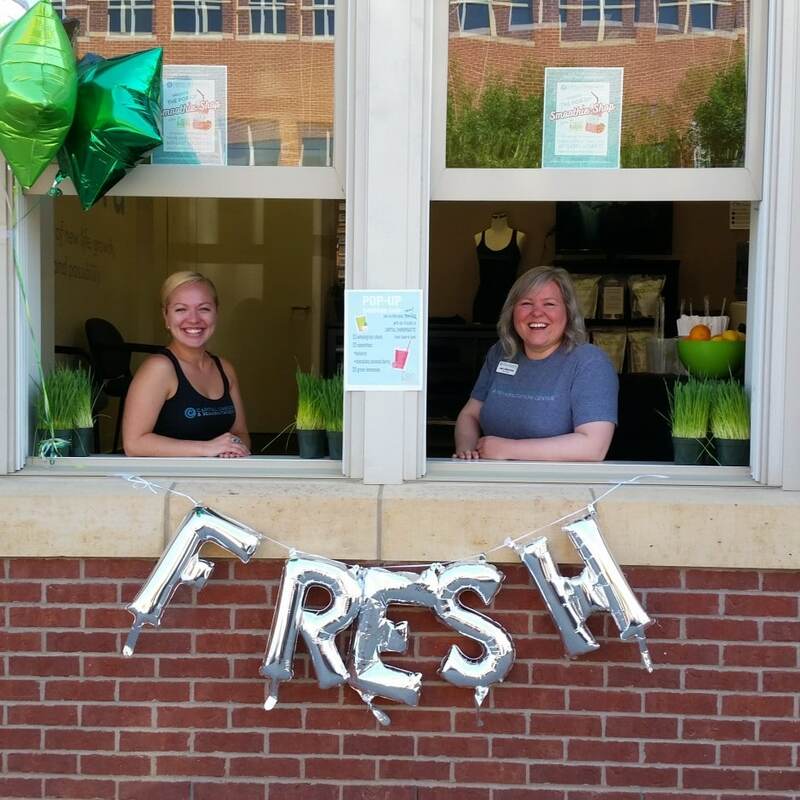 Out partners for the event, Fresh Cafe & Market, have been serving up treats for over ten years in Greater Des Moines, including at the Downtown Farmers’ Market every Saturday. 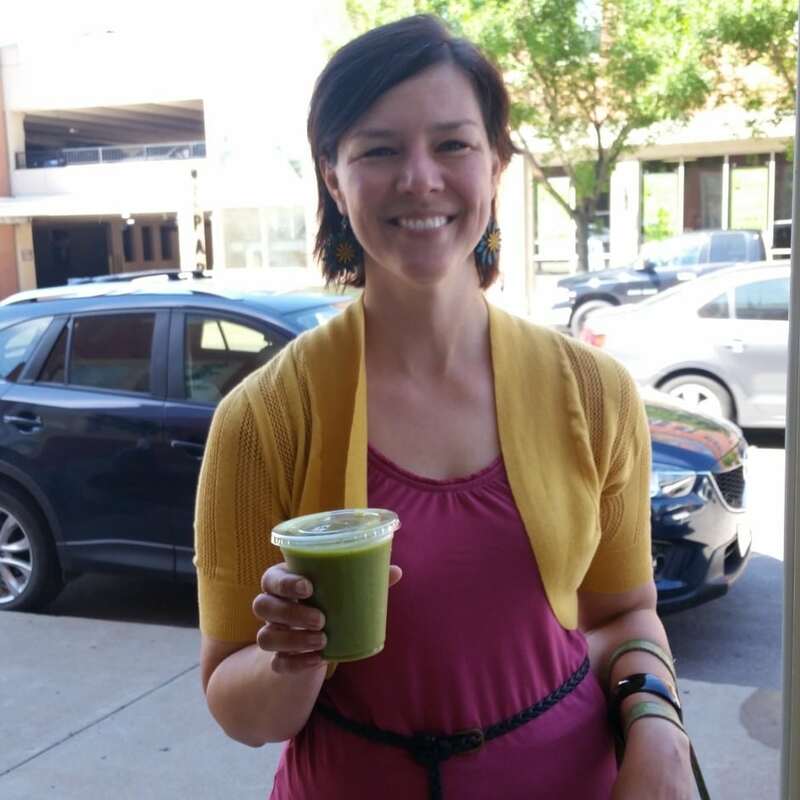 Kerri Rush, the owner, was first know for her wheatgrass shots and now serves all kinds of tasty vegan treats, from smoothies to raw tacos. 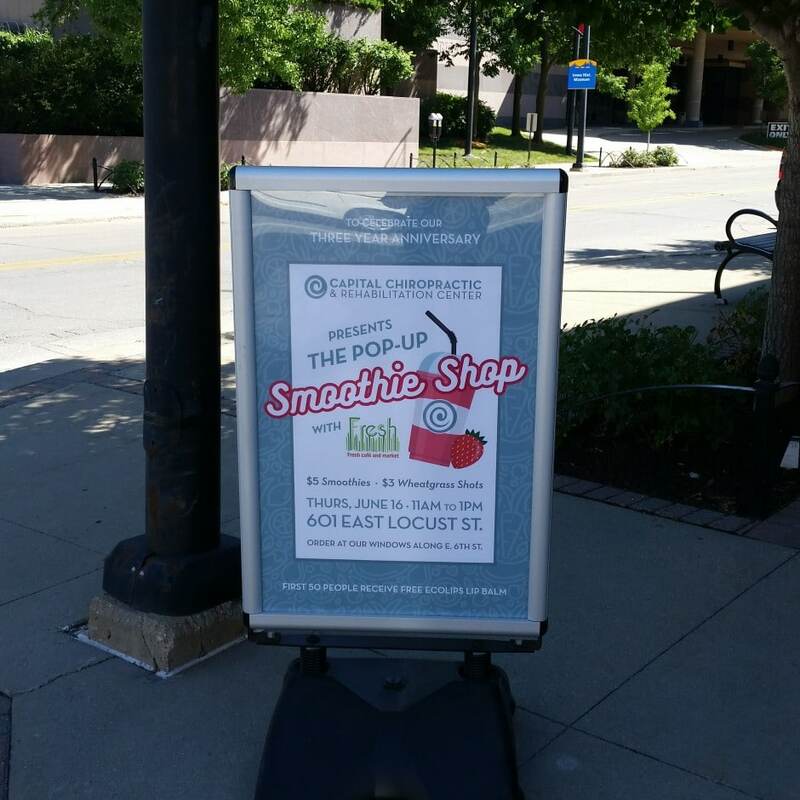 We’re very thankful to Kerri and her team for their partnership to bring the smoothie shop to life! We are so lucky to have called this Greater Des Moines community our home for the last three years. Here’s to 33 more years!